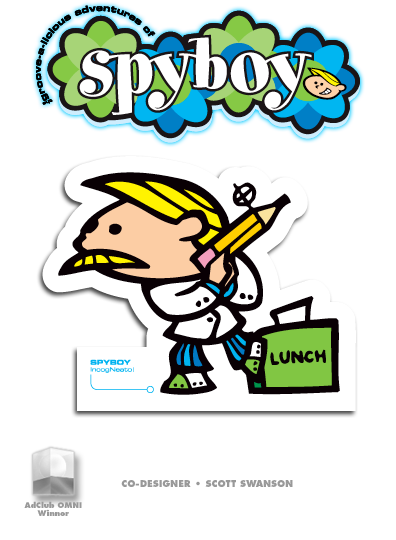 Children’s program designed for Arby’s – “The Groove-a-licious Adventures of SpyBoy.” He’s a kid leading a seemingly ordinary life but, in reality, he is SpyBoy, an undercover agent for S.C.H.O.O.L. 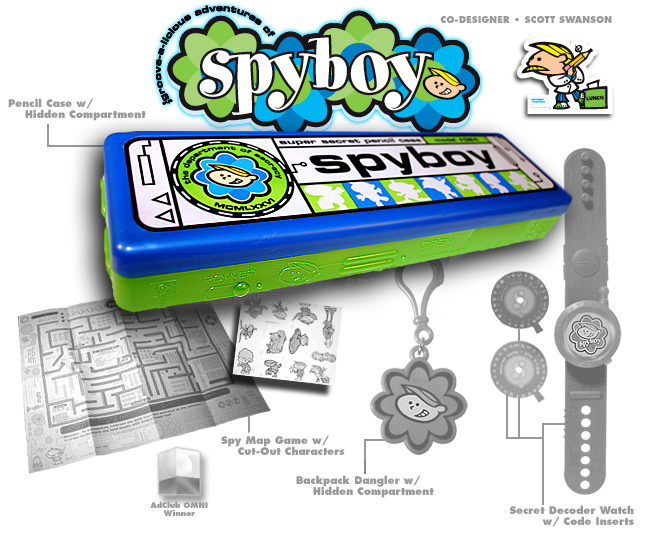 The set includes a pencil case with a hidden compartment, a secret-decoder watch, a backpack dangler with a hidden compartment and a spy map with games and cut-out characters. 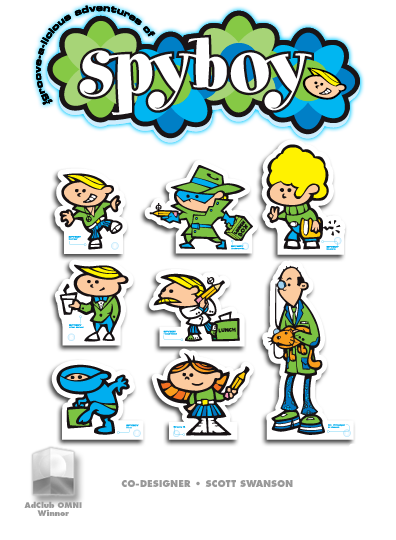 This program won an AdClub OMNI with co-creator Scott Swanson.